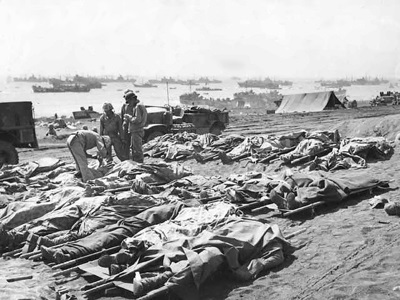 US casualties have been extremely high in previous battles of the Pacific War such as Iwo Jima. As a result, extremely high casualties were expected during Operation Coronet. It is always very difficult to estimate the number of casualties that would have occurred in a military operation that never actually went ahead. There are so many unpredictable factors such as weather, morale, technical failures, that mean making accurate estimates is virtually impossible. Estimating expected casualties in the of Operation Coronet, is however doubly difficult. This is because Operation Coronet was intended as the follow-up to Operation Olympic (the invasion of southern Japan), and Operation Olympic also never went ahead. This means, we have no real idea what conditions would have been like at the start of Operation Coronet, and what innovations to strategy, tactics, and equipment both the US/Allied invasion forces, and the Japanese defenders, would have introduced prior to the commencement of Operation Coronet. There were a number of casualty estimates for the invasion of Japan (Operation Olympic plus Operation Coronet, known together as Operation Downfall), but so far as I know, only serious authority attempted to make a separate estimate for casualties during Operation Coronet. The US Joint Chiefs of Staff, in April 1945 estimated US/Allied casualties during Operation Coronet would be 902,000 in total - comprising of 744,000 wounded, and 158,000 dead/missing. They did not attempt to estimate potential Japanese casualties however.